Porchlight Music Theatre presents MARRY ME A LITTLE. Austin Cook and Bethany Thomas star in this musical montage of a relationship. We meet Cook and Thomas on a lonely Saturday night. They are both focusing on their passion: his -the piano, hers- photography. Their resignation to single-dom is interrupted by a chance meeting. 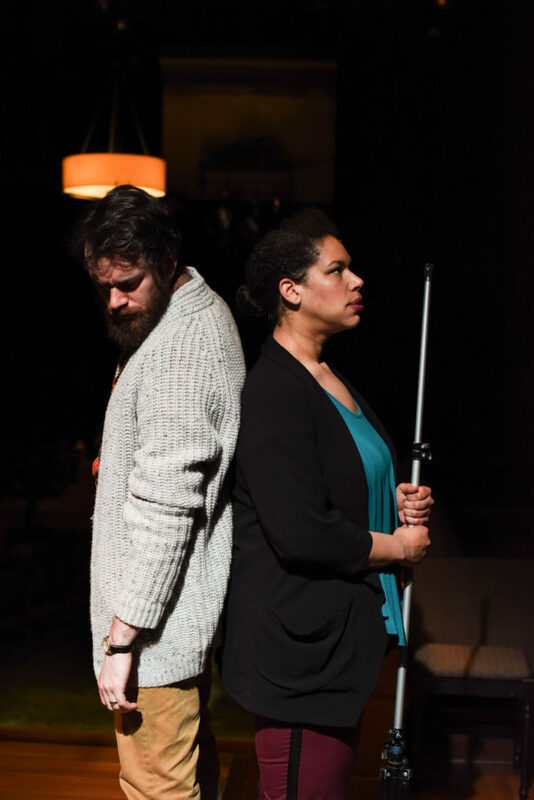 This infrequently performed Stephen Sondheim revue is an autopsy of a relationship. Sondheim’s songs take us full circle from isolation to flirtation to commitment to conflict to isolation. The tight 70 minute is a unique spring outing for musical lovers. At times, it’s light and lusty as the pair playfully come together. Then later, the songs shift with the-honeymoon-is-over realism. Cook pulls an impressive trifecta serving as piano player, music director and leading man. I’ve always enjoyed watching Cook play piano. He doesn’t so much tickle the ivories as dances with them. Depending on the tune, he pops, tangos, waltzes, swings and occasionally even Charlestons. Cook passionately moves across the key with nimble movements. 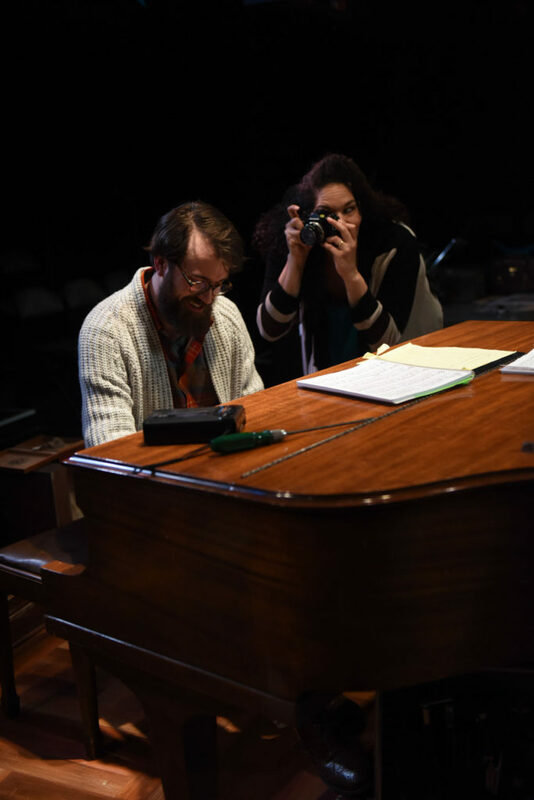 He has often animatedly directed the music in the show from his piano bench. In this show, he gets up from the bench and effortlessly assumes the romantic lead. He and Thomas are a perfect match in wooing and singing. I’m used to Thomas shaking the rafters with her powerhouse vocals. She swaps her signature torch singing style for even-keel duets. For most of the show, Thomas is almost demure in her singing with Cook. But don’t worry, Thomas’ fans! Her “Foxtrot” number showcases her incredible musical and comical range. Cook and Thomas are established Chicago musical icons. Pairing them in MARRY ME A LITTLE is a dynamic marriage of convenience! Well done, Porchlight, you are quite the matchmaker! Thursdays at 7:30 p.m., Fridays at 8 p.m., Saturdays at 4 and 8 p.m. and Sundays at 2 p.m.
Tickets to Marry Me a Little are available at PorchlightMusicTheatre.org or by calling the Stage 773 box office, 773.327.5252.